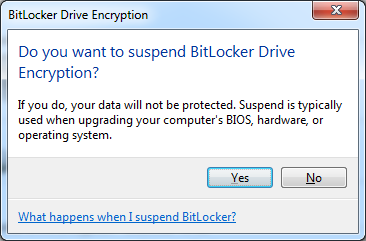 Before updating BIOS on a computer that has BitLocker enabled, make sure you suspend BitLocker encryption before you update the BIOS. 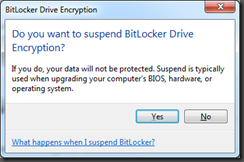 If BitLocker was not suspended, the computer will not accept your BitLocker key the next time your computer boots and the only way you can start your computer is with a recovery key. You will be asked to enter the recovery key every time you restart your computer unless you suspend and resume BitLocker. Choose Suspend Protection and confirm it by responding Yes. Go ahead and update the BIOS. Restart your computer. 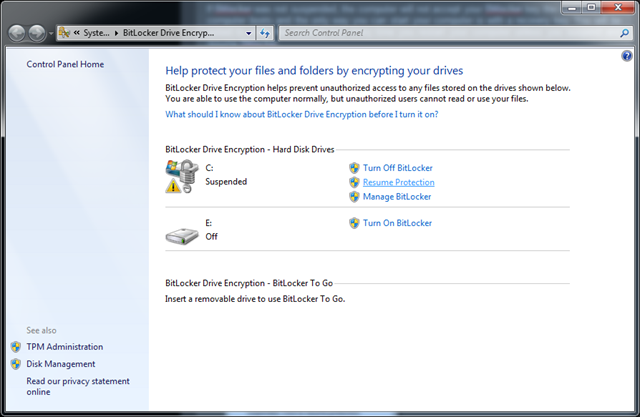 Windows 7 comes with a cool new feature called ‘BitLocker To Go’, which is a disk encryption mechanism to protect USB flash drives. USB flash drives are becoming ever so common thanks to their small size, ease of use and low cost. Users often carry critical or sensitive data on USB drives and carry it outside the organization. A lost USB drive containing sensitive could mean unimaginable implications for the organization, and this is where BitLocker To Go can help. 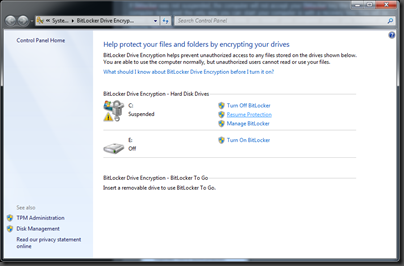 In this screencast, I demonstrate how you can encrypt a USB Flash Drive using Windows 7. I recommend you watch it in High Definition (HD) mode. 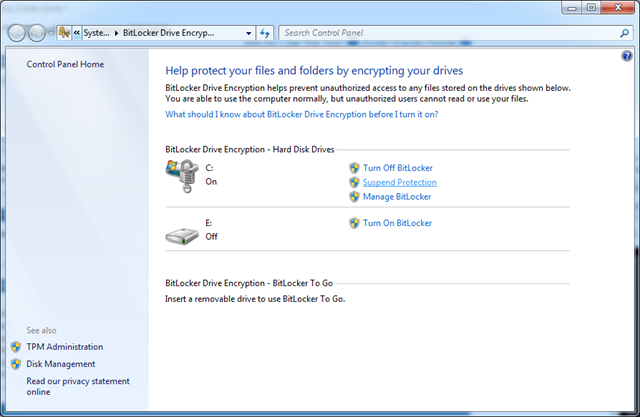 BitLocker, first introduced in Windows Vista, has become an important encryption method when it comes to increasing security of laptop computers by encrypting the hard drives. 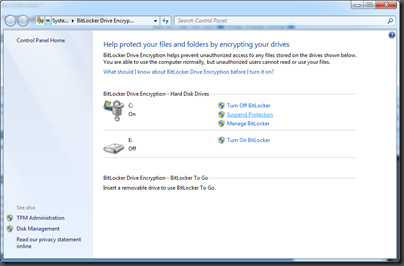 In Windows 7 beta, you can take security one step further by making use of the BitLocker encryption feature for USB flash memory, external hard disks and other removable media. Organizations can also enforce all users to encrypt removable devices using this feature. IT administrators can manage this centrally via group policy that requires all USB drives to be encrypted even before files can be written to it.